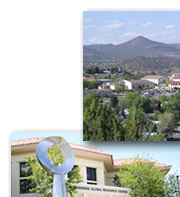 Located in Silver City, New Mexico, Western New Mexico University has served the people of the state of New Mexico and its surrounding areas as a comprehensive, regional, rural, public coeducational university since 1893 and caters to a student body diverse in age, culture, language and ethnic background. 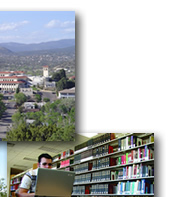 Unlike most other universities, WNMU is distinct in its student body, professors, setting, and degree programs. 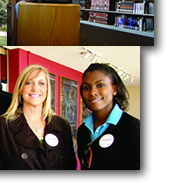 Current enrollment averages 3,200 undergraduate and graduate students. The student to teacher ratio is 13:1, providing students a more personalized education. The classes at WNMU are taught by college professors who have great expertise in their chosen field. Over 90% of professors have terminal degrees. Online students can choose from well over 100 courses offered online each semester, taught by experts in the field. Online graduate degree programs are also affordable: students pay less than $200 per credit hour. Financial aid is available and awarded to nearly 80% of WNMU students each year. Applicants are encouraged to complete the Free Application for Federal Student Aid (FAFSA). The institution code for WNMU is 002664. 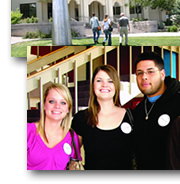 WNMU was the first four-year university in New Mexico to receive the prestigous Zia Award for quality. Since then WNMU has been awarded the Small Business of the Year Award and many Pinon Recognitions from Quality New Mexico. We are committed to quality in education. The Master of Arts in Interdisciplinary Studies is the program for the student on the move. Completely online, students can create the degree from various discipline options to fit their needs. Our online courses are affordable, flexible and available anywhere. WNMU uses Blackboard® course management system where students are able to access lectures, course materials, as well as classroom discussions with faculty and classmates. The technical support helpdesk is available to assist online learners during business hours via telephone. During off-hours, students use the help request form on the university Web site. Western New Mexico University is accredited by several accreditation bodies including the North Central Association of Colleges and Schools (30 North LaSalle, Suite 2400, Chicago, IL 60602-2504; 800-621-7440). Format is online using state-of-the-art delivery. Blackboard platform with Lecture Capture capabilities. This includes video lectures with iPod downloads and notetaking help. Must be equipped with high-speed Internet connection such as DLS or cable modem. PC configuration must support Windows XP or greater. Hybrid programs (some limited on-campus requirements) are available, as are as fully online programs with no on-campus requirements. Loans may be available. Applicants may apply by completing the Free Applicaton for Federal Student Aid (FAFSA code: 002664). A University representative will contact the student; details about the admission and registration processes will be provided via e-mail. I’ve grown into a more independent person at Western. I’ve become a more determined individual.